And gain access to exclusive Rustic Foundation swag! Whether you raise $10 or $10,000 your support truly makes a difference. Contact us at [email protected] with any questions or ideas. We love brainstorming ways we can support you in creating the impact you strive for! 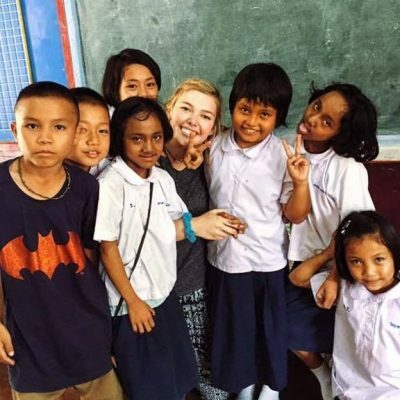 Mary traveled to Thailand in 2017 with Rustic. After returning home to Alabama she immediately started training for her first half marathon to fundraise for a cause that became beyond important to her. Mary decided to raise money for the Thailand Education Fund in order to support students in Northern Thailand gain access to education. 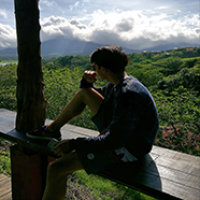 Daniel traveled to Costa Rica with Rustic in 2016. When he returned home to Beijing, he was inspired to stay connected to the community in Bribri. He raised $17,000 for the Bribri Aqueduct project by organizing an event at the Costa Rican consulate in Beijing. 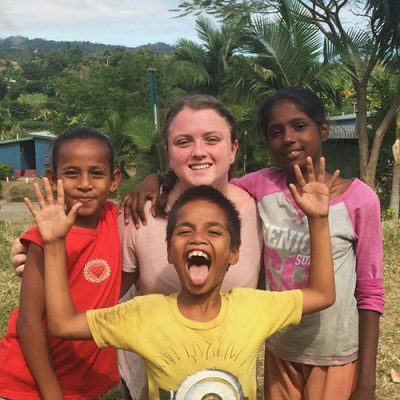 After Charlotte’s trip to Fiji, she applied for the Girl Scouts’ Gold Award–the highest award possible. She worked with the Rustic team to design a cafe at the Eco-Lodge base house in Fiji with a sustainable business plan and design plan, and all proceeds support our projects in Fiji. She even returned to Fiji with her family to aid in the construction!